The National Parks are wonderful places we should never, ever take for granted. Show them some love April 18-26. You drive past the ranger at the gate, and suddenly, you're in a grove of dapple-y sequoias, or you can hear the ocean, and you finally are breathing with a calmness, and you think, "hello you dear, dear national park; thank you for being here." We're just going to take a wild guess and say that wild America produces that feeling in most people. Because we all love it all: the canyons, the redwoods, the sagebrush-laden mountains, the animals, everything. Did we mention the rocks? Those too. And you as well, little buzzing flying insecties. All of it. National Park Week kicks off on Saturday, April 18th with a huge offering of nature-licious to-dos. Here in California, there are junior ranger events, a celebration of naturalist John Muir's birthday, weed and trail clean-up and a sailing adventure. And the happenings are not just centered around the Golden State's famous national parks like Yosemite; national historic sites and monuments are part of the week as well. All of this reminds us that we've got to get back up to the General Sherman soon. 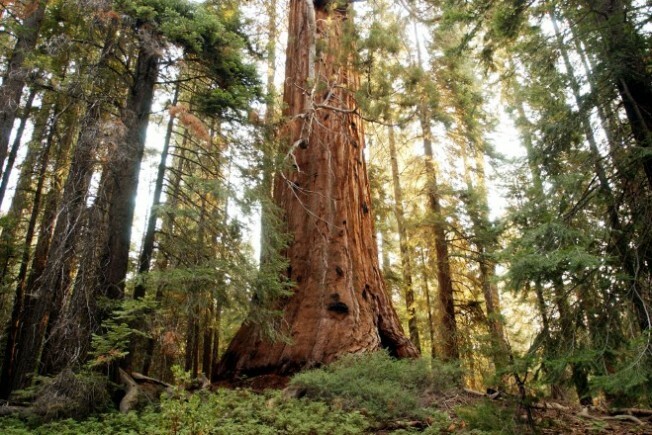 If you call California home, and haven't seen this particular sequoia -- which is often billed as the largest tree on the planet -- make a date to visit National Sequoia Park as soon as possible. The word "wonder" is thrown around pretty lightly, but not where this tree is concerned; we practically grovelled at its bark-y base upon first viewing it. It's astounding and magnificent and noble and ancient. And did we mention really, really, really big?